Conquer the great outdoors in the Nissan Armada. 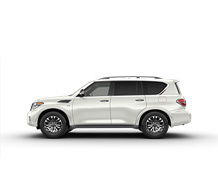 Balancing rugged utility with a refined and sleek design, the Armada puts you in stylish control of every environment. From a roomy, premium interior, to 4×4 capability and a litany of safety technologies, the Armada is a full-sized SUV that covers all the bases. Whether you’re hauling a trailer, cargo, or passengers, this fully adaptable Nissan SUV is flexible to meet your needs throughout your driving life. 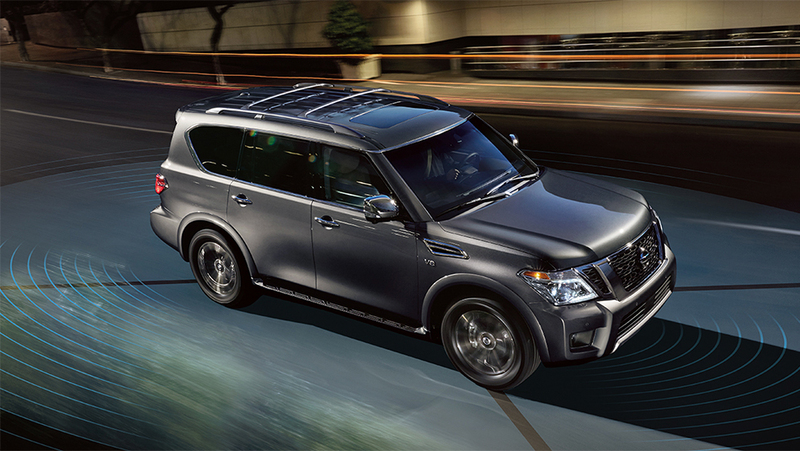 Luxurious, powerful, and responsive, the Armada is impressive amongst its competitors. 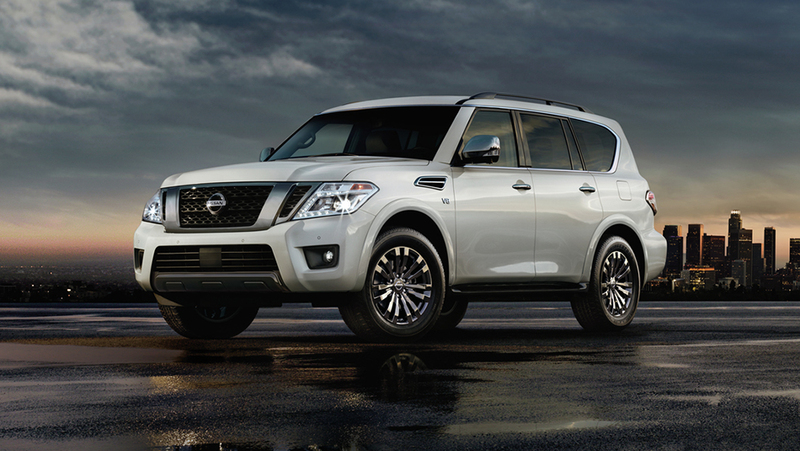 Shop with us at West End Nissan, the top Nissan Edmonton dealer, and discover the bold Nissan Armada! Impressing from inside and out, the Nissan Armada brings top tier design elements to your next journey. Its muscular frame besets clean lines that create a strong front-end that’s ready for adventure. 20-inch wheels and roof rails are ready for the country, while chrome air vents and seamless LED lights make it stand out in the city. Wood-tone and metallic trim brings the luxury inside, while climate-controlled seats and Dual Zone Automatic Temperature control ensure you’re always comfortable. Want that power on the open road or when 4x4ing? The 5.6L Direct Injection Gasoline V8 engine has you covered, pumping 390 horsepower, 394 lb-ft of torque, and 8,500 lbs of towing capacity. Those with a mind towards safety have no reason to be concerned with Nissan Intelligent Mobility at the helm, including Intelligent Emergency Braking, Blind Spot Intervention, Cruise Control, and much more. The Nissan Armada is jam-packed with utility, inside a fierce SUV frame that is as capable as it is sophisticated. The Nissan Armada comes into 2019 much the same as the previous year. The biggest changes are what comes standard in the Armada’s safety technologies. Standard now on this exceptional SUV includes Adaptive Cruise Control, Forward Collision Mitigation, Automated Emergency Braking, and Rear Door Alert. 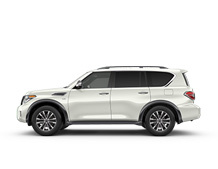 Added to maintain Nissan’s continued dedication to safety, the Armada is safer than ever in 2019. Shop Nissan cars, crossovers, SUVs and trucks at West End Nissan in Edmonton, Alberta. Our sales, service, parts and financing departments are here to help with any questions or concerns. I agree to receive periodical offers, newsletter, safety and recall updates from West End Nissan. Consent can be withdrawn at any time.